Bower Condos On The Preserve Offer Convenient Contemporary Living In The Heart Of North Oakville's Uptown. Condo units are 1 Bedroom, 1 Bedroom + Den, 2 Bedrooms and 2 Bedrooms + Den. Included With Each Suite: Underground Parking, Locker, 9’ Ceilings (10’ Ceilings On 6th Floor), Granite Kitchen Countertops, Laminate Floors, 4 Stainless Steel Appliances + Stacked White Washer & Dryer. - Oakville's best value for contemporary condo living. - Keep Fit at Home. Enjoy a fitness studio steps from your door. - Minutes from convenient shopping, restaurants, and transportation options. Walmart Oakville Supercentre, Winners, HomeSense, Starbucks, banks including RBC, TD, CIBC and Scotiabank, LCBO and retail shops are close-by. 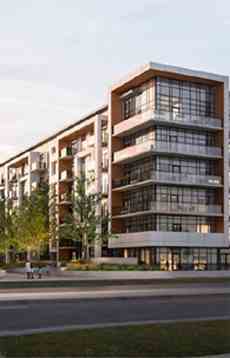 Bower Condos on The Preserve is a condo development by Mattamy Homes located at Dundas Street West, Oakville. 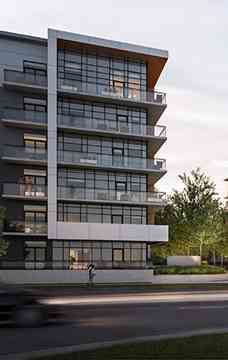 Bower Condos is close to a wide variety of shopping, dining & entertainment options. Minutes from The Oakville Go Station and Highway 407 & QEW access. This location offers everything you want to surround yourself with. Affordable, stylish and convenient.